Phillips 66 has 15 refineries globally and 2.2 million barrels a day of capacity. "When we think about our refining business we like to think about it in four segments. One is the Mid-Continent, about 21% of our capacity is there. Margins have been very strong in this area, as you know. Our largest region is the Gulf Coast, about 33% of our capacity is there.We have large economy of scale here. 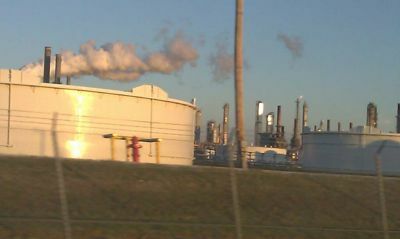 We have very complex refineries on the Gulf Coast. The Western US and Pacific region is about 20%, includes our interests in the Melaka refinery.The West Coast has typically had high margins historically, but the last couple years has been challenged in part due to the economic slowdown in California." The Alliance Refinery, located on the Mississippi River in Belle Chasse, La., 25 miles south of New Orleans, has a crude oil capacity of 247 MBD and processes mainly light, low-sulfur crude oil. Alliance receives domestic crude oil from the Gulf of Mexico via pipeline and foreign crude oil from West Africa via pipeline connected to the Louisiana Offshore Oil Port. The single-train refinery’s facilities include fluid catalytic cracking, hydrodesulfurization units, a reformer and aromatics units that enable it to produce a high percentage of transportation fuels, such as gasoline, diesel fuel and jet fuel. Other products include petrochemical feedstocks, home heating oil and anode petroleum coke.The majority of the refined products are distributed to customers in the southeastern and eastern United States through major common-carrier pipeline systems and by barge. CSP Daily News reported on March 26, 2014 that Phillips will pay a $500,000 penalty for violations of the Clean Air Act at the Alliance Refinery in Belle Chasse, La., the Sweeny Refinery in Old Ocean, Texas, the Wood River Refinery in Roxana, Ill., the Lake Charles Refinery in Westlake, La., the Borger Refinery in Borger, Texas, and several terminals across the country. Phillips also agreed to retire more than 21 billion sulfur credits that could have been used in the production of gasoline, which could potentially lead to significantly less pollution from vehicles. In a administrative settlement agreement, the EPA alleged that the company generated invalid sulfur credits between 2006 and 2012 and that Phillips failed to comply with recordkeeping, reporting, sampling and testing requirements at the five refineries. EPA discovered these violations during facility inspections and through a review of company records, which included the results of third-party company audits required by the Clean Air Act. Greg Garland told security analysts at the Credit Suisse Global Energy Summit on February 12, 2014 that the decision not to sell Alliance Refinery was a good one. "As we look at what's happening and the crudes coming at us, clearly the U.S. Gulf Coast is going to move to we think a very advantaged position. As we came out of Conoco Phillips, we made the decision to take Alliance off the market, because we were in the middle of a process to sell Alliance. I think it turned out to be a good decision for us as we look back." Businessweek reported on February 11, 2014 that Alliance refinery will begin shutting down 10 units on March 5 including the only crude unit, whose atmospheric tower is plugged, and a delayed coker, which requires decoking for a turnaround that will last 47 days, according to two people who asked not to be identified because the information isn’t public. Other units to be shut for the turnaround include a catalytic reformer, a diesel hydrotreater, an aromatic extraction unit, a saturate gas unit and a low-sulfur gasoline unit, according to a regulatory filing with the state last month. The refinery’s catalytic cracker will remain in operation during the work. Dennis Nuss, a company spokesman in Houston, said in an e-mail that details regarding specific units and duration of work involved in a turnaround are considered proprietary. Phillips 66 reported flaring at its Alliance refinery in Belle Chasse on February 14 was due to an equipment malfunction that shut a compressor, according to a filing with the U.S. National Response Center. Operators were attempting to stabilize the units and get the compressor back online. Greg Garland told analysts at the 4th quarter earnings conference on January 30, 2013 that Phillips has completely backed out imports of U.S. light sweet crude in the Gulf Coast refineries including Alliance Refinery. Chief Financial Officer Greg Maxwell reported at the Phillips Third Quarter Earnings Conference on October 31, 2012 that globally Phillips ran at a 96% utilization rate despite the Alliance refinery being down for approximately three weeks related to the impact of Hurricane Isaac. Nasdaq reported on September 26, 2012 that production had resumed at its Alliance refinery on September 21, 2012 as expected. Operations were idled on August 28 ahead of Hurricane Isaac. Phillips 66 reported on September 17, 2012 that several units have been brought back online at the Alliance Refinery and that Phillips expects to have all refinery units back online by the end of the week of September 17. Phillips 66 reported on September 6, 2012 that power was restored to Alliance Refinery on September 5, 2012 and the refinery expected to be operating by mid-September. Phillips 66 reported on September 5, 2012 that Alliance Refinery has lost electricity supply from its third-party power provider and work is proceeding to resolve the problem, and the utility provider expects to have power back to the refinery by late in the day on September 5, 2012. This outage will slow the restart of the refinery. Greg Garland told investors and securities analysts at the 2012 Barclays CEO Energy-Power Conference in New York on September 5, 2012 that Isaac went right over the top of the Alliance refinery. "We got back in the refinery on Wednesday afternoon. Some minor damage in terms of insulation blown off of towers, but really the refinery came through in really good shape. Back side of the storm created flooding in Plaquemines Parish. It overran a levy. We had about a 100 foot breach in our dike. So we got water into the refinery. By Thursday afternoon, we had managed to breach that. But we had about a foot to a foot and a half of water in the refinery. By Saturday, we had pumped all that out. No equipment damage really. We had hardened the refinery after Katrina. We had raised and elevated motor control centers, control rooms, etc. So really no equipment damage. We got a boiler started up Sunday night. We got gas restored on Sunday, power restored on Tuesday. So we're in startup mode and we expect in six to nine days, we'll have Alliance up and running. So really we came out well compared to the Katrina event back in 2005." Phillips 66 reported on September 4, 2012 that power was restored to the Alliance Refinery early the morning of September 24, 2012 and refinery personnel are in the process of safely bringing the refinery back online. It is expected to take a couple of weeks before the refinery is running at normal rates. Reuters reported on September 4, 2012 that a leaking oil storage facility at the Alliance Refinery released an unknown amount of oil into the facility and surrounding area according to a filing with national pollution regulators. The incident was discovered at 1308 (local time) on September 2, 2012, the filing said. Phillips 66 reported on September 2, 2012 that the Alliance Refinery remains shut down and is without power at this time but most of the floodwater has been cleared from the refinery and personnel have returned to work and are preparing the refinery for an eventual restart once power has been restored by the third-party power provider. Phillips 66 reported on August 31, 2012 that the Alliance Refinery remains shut down without power and floodwater remains in parts of the refinery. More than 100 employees should be at the refinery by the end of August 31, 2012 to assist with assessment and recovery of the refinery and additional emergency generators, fuel and other supplies also are expected. A timeline for restart will be developed once the assessment is complete. Herald Online reported on August 31, 2012 that Phillips will contribute $500,000 to the American Red Cross to assist relief operations following Hurricane Isaac and flooding in the Gulf Coast region and will match employee contributions for disaster relief. "Our thoughts and prayers go out to all those impacted by Hurricane Isaac, including our many employees, friends and neighbors across the Gulf Coast,” said Phillips CEO Greg Garland. “We are extremely thankful that all of the employees at our Alliance Refinery in Belle Chasse, La., and their immediate families are safe, though some have experienced significant damage to their homes and property. Phillips 66 reported on their web site on Augsut 30, 2012 that a team is assessing damage from flooding from Hurricane Isaac and that some flooding is evident in the refinery with personnel working to prevent more flooding and to pump water out of the flooded areas. The refinery remains shut down and is without power and a timeline for restarting the refinery will be made once the assessment is complete. The Times-Picayune reported on August 28, 2012 that according Plaquemines Parish Sheriff's Office deputies, Hurricane Isaac knocked out power at the Phillips 66 Alliance Refinery in Belle Chase's Jesuit Bend area. Belle Chase has about 5,100 outages as hurricane-force winds in lower Plaquemines likely would last between 6 to 10 hours. 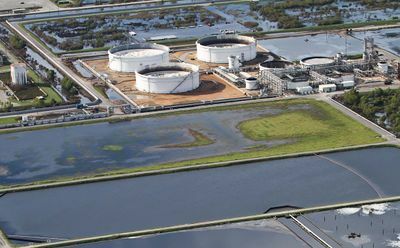 “We are not yet able to confirm whether or not flooding in the region has impacted the refinery,” the company said in a statement on its website. The Phillips 66 web site reported that refinery personnel are making plans to re-enter the refinery once the hurricane has passed and it is safe to do so in order to assess the condition of the refinery. A decision on a timeline for restart will be made once the assessment can be completed. Fox News reported on August 27, 2012 that the Alliance refinery in Belle Chasse was in the process of suspending operations and would be completely shut down by the evening of August 27, 2012 ahead of Tropical Storm Isaac. Refinery owners often shut down operations in advance of a storm because refineries consume enormous amounts of electric power and generate steam to cook crude oil into gasoline, diesel, jet fuel and heating oil and if a refinery loses power suddenly, operators can't properly clear the partially cooked oil out of pipes, and re-starting the refinery can take several days or even weeks. However if refineries instead conduct what is known as an orderly shutdown, they can re-start as soon as the power supply is assured again. Reuters reported on August 26, 2012 that Hurricane Isaac looks set to disrupt U.S. offshore oil and gas supplies and analysts say it could wreak havoc on "refinery row" along the Gulf Coast, a low-lying area between Texas and Mississippi that is home to about 44 percent of U.S. refining capacity and could be the biggest test for U.S. energy infrastructure since 2008, when Hurricanes Gustav and Ike disrupted offshore oil output for months and damaged onshore natural gas processing plants, pipelines and some refineries. According to Lousiana Governor Bobby Jindal, Phillips 66 was "likely" to shut its 247,000 bpd Alliance refinery in Belle Chasse, Louisiana. Bloomberg reported on August 9, 2012 that Phillips is holding off on starting a project that would boost ultra-low-sulfur diesel fuel output at its Alliance refinery in Louisiana. Phillips 66 is “re-evaluating the timing of the project based on market economics,” Rich Johnson, a Houston-based company spokesman, said in an e-mailed statement. “Reviewing economics such as supply and demand forecasts for our product will be taken into consideration as part of the long-range planning cycle we use to determine what capital projects we want to invest in.” The company received a permit on July 25, 2012 to expand a diesel hydrotreater and gulfining unit, according to a filing with the state’s Department of Environmental Quality allowing the units to remove more sulfur to meet emissions regulations. The permit will expire on Jan. 25, 2014. Phillips reported during their second-quarters earnings report on August 1, 2012 that Phillips wants to move the shale crudes from 120,000 to ultimately 450,000 to 460,000 barrels a day and has a plan to get advantaged crude into most Phillips refineries. "We are trying to get those crudes to every refinery we can," said Phillips CEO Greg Garland. "And then Alliance, we are running today Eagle Ford crude and some Bakken crude in Alliance, but ultimately [we want to run] 50,000 to 90,000 barrels a day."." Reuters reported on Phillips second-quarters earnings report on August 2, 2012 that Phillips 66 said it would retain its 247,000 barrel-per-day Alliance plant in Belle Chasse, Louisiana, because it expects increased access to cut-price light sweet crude to run there. 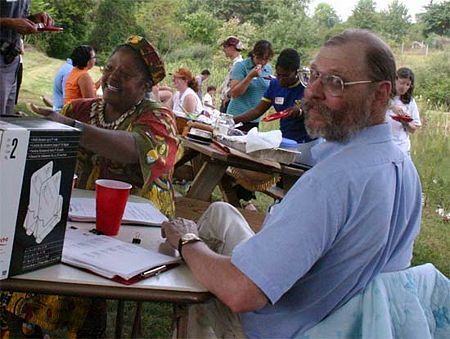 "We had a lot of people go through the data room. We had a handful of offers and nothing we really regarded as approaching our whole value for the asset," said Garland. "I think in the interim year that's passed since we made that first decision that our view has changed in terms of Gulf Coast crudes particularly LLS as becoming advantaged. So we just think Alliance really has more future value than certainly -- value today than what people are willing to pay." Nasdaq reported on June 5, 2012 that Phillips 66 CEO Greg Garland told financial analysts during an investors conference that although Phillips 66 has been considering the sale of its Alliance refinery in Belle Chasse, Louisiana since December 2011, the company is now rethinking the prospect amid falling prices for Light Louisiana Sweet (LLS) crude oil and may not put the refinery up for sale after all. "Our view of that refinery has increased," said Garland. "We think LLS will become an advantaged crude." hillips 66 and other refiners have been rearranging their geographic footprint to take advantage of a boom in US oil and natural gas production that has scrambled the refining map. Refineries with access to new, discounted oil in the U.S. midcontinent have prospered, while coastal refineries have seen profit margins decline. LLS sold for about $95 a barrel Tuesday, down nearly 17% since December. The premium of about $12 LLS commands over inland-crude-oil benchmark West Texas Intermediate should fall as more WTI crude comes to the Gulf Coast via pipelines and rail cars. According to an article in the Wall Street Journal on June 7, 2012, it may be difficult for Phillips to find a buyer for the Alliance Refinery because long term US gasoline consumption is falling. "Other refineries all have assets on the chopping block, but in a world where domestic fuel sales are in long-term decline, potential buyers are in short supply," write Ben Lefebre. However lower crude prices are making the economics of refining attractive again. "There may be a gleam of hope for Gulf Coast refiner profitability," writes Lefebre. "Exports are growing and Gulf Coast crude economics are getting better. The surge in domestic crude production could bring down the cost of regional oil benchmark Light Louisiana Sweet, giving refines in the region a distinct advantage, refiners and analysts have said." Garland told Reuters on May 1, 2012 that Phillips 66 aims to double refined product exports to 200,000 bpd in the next two years, but its 247,000 bpd Alliance refinery in Belle Chasse, Louisiana -- which runs light-sweet crude -- is on the block. 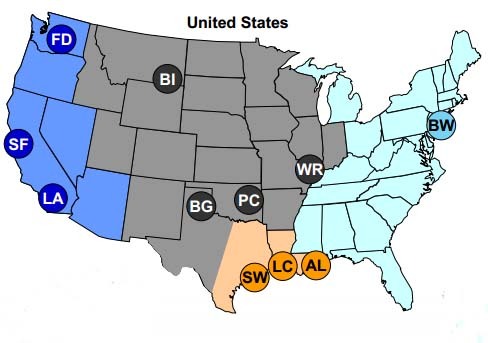 Increasing U.S. light-sweet inland shale oil output along with more infrastructure to move it to the refinery-heavy Gulf Coast means more advantaged crude prices could show up in the region in the coming years, increasing Alliance's value, Garland said. If the price isn't right for what he called "a good export platform for us," Phillips 66 will keep it, Garland said. "We wouldn't let the refinery go cheap." Denotes joint ventures. Crude capacity reflects that proportion. ↑ Businessweek. "Phillips 66 Said to Shut Alliance Units March 5 for 47 Days" by Barbara Powell. February 11, 2014. ↑ Phillips 66. "Storm Center Website Update #9 for Tropical Storm Isaac" September 4, 2012. ↑ Reuters. "Phillips66 Alliance refinery reports leakage at oil storage facility" September 4, 2012. ↑ Herald Online. "Phillips 66 Contributes to Hurricane Isaac Disaster Relief" August 31, 2012. ↑ Times-Picayune. "As Hurricane Isaac winds knock down power lines, Phillips 66 Alliance Refinery loses power along with thousands of others in Plaquemines Parish" August 28, 2012. ↑ FuelFix. "Louisiana refinery without power after shutdown" August 29, 2012. ↑ Phillips 66. "Storm Center Website Update #5 Hurricane Isaac. 9 a.m., Wednesday, August 29, 2012"
↑ Fox News. "Phillips 66: Belle Chasse, La., Refinery Closing Ahead of Isaac" August 27, 2012. ↑ WPXI. "Gas prices rise as refineries shut down for Isaac" August 27, 2012. ↑ Reuters. "UPDATE 2-Storm Isaac bearing down on U.S. refining hub" August 26, 2012. ↑ Bloomberg. "Phillips 66 Puts Alliance Refinery Diesel Fuel Project On Hold" by Christine Harvey. August 9, 2012. ↑ Nasdaq. "Phillips 66 CEO: Louisiana Refinery Sale Decision to Come in Summer" by Ben Lefebre. June 5, 2012. ↑ Wall Street Journal. "Phillips 66 Rethinks Plan to Sell Louisiana Refinery" by Ben Lefebvre. June 7, 2012. ↑ New World Encyclopedia. "ConocoPhillips" retrieved May 6, 2012. This page was last modified on 29 April 2014, at 15:20.